Women’s Fitness Alexandria — Welcome To Our Blog! Welcome To The StarFit Studios Blog! Welcome to the StarFit Studios women’s fitness blog! 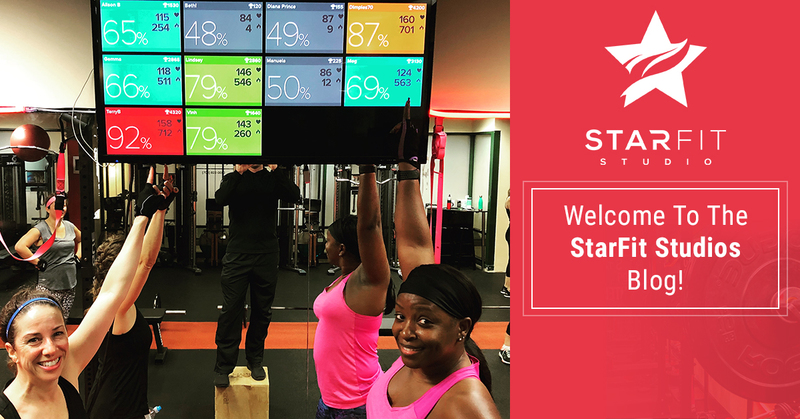 In our first blog post, we want to introduce you to StarFit Studios and mention what makes us different than other mainstream gyms in Northern Virginia. If you’re looking for a dynamic, supportive workout environment, look no further than StarFit Studios in Alexandria and Arlington. While going to the gym and sticking to an individualized workout routine works for some people, we realize that it doesn’t work for everyone. In fact, we believe that the majority of individuals enjoy working out and get more out of a fitness routine when they engage in group exercise. As such, StarFit Studios is organized around 60-minute group fitness sessions. Each group fitness session is led by a personal trainer and is limited to only a small group of participants. This model combines the benefits of personal training with the energy — and cost-effectiveness — of group fitness. Indeed, you can take a group exercise class for as low as $15 per session. To learn more about our pricing and group fitness model, check out our membership page here. When we say we’re dedicated to women’s fitness, we don’t mean we have pink ellipticals. In fact, we believe that committing to women’s fitness means encouraging strength, community, and positivity. At our women’s fitness studio, you won’t find individuals hogging the weight racks. You won’t feel lost in a sea of foreign equipment. And you won’t feel judged if you’re not already in peak-shape. You’ll find a community of like-minded women who want structured, challenging, and rewarding workouts. Whether you’re looking for a gym closer to your home in Alexandria or Arlington or want to start a fitness routine, StarFit Studios is here for you. Try a free trial to see what we’re all about. You already lead a busy Northern Virginia life, and we understand this go-go-go routine at StarFit Studios. That’s why we have two convenient locations in Alexandria and Arlington. Our group fitness classes are offered at convenient times in the morning, afternoon, and evening, so you’ll be able to squeeze in a 60-minute class whenever works for your schedule. Check out our location-specific information today! In our women’s fitness blog, we hope to cover topics that are both relevant and informative. We’ll cover frequently asked questions, provide information about our local gym, and detail the ins and outs of different fitness trends. If you’ve ever wondered why exactly HIIT (high-intensity interval training) workouts are so popular or the benefits of a strong core for health, our women’s fitness blog has you covered. StarFit Studios wants to make it easier for you to establish a healthy fitness routine. If you’ve been telling yourself that you’ll join a gym tomorrow for the last six months, the time is now. Join our encouraging, group training-centered facility today with locations in Alexandria and Arlington.